December 28, 2017 — Wishing you a year if immeasurable blessings and joy! September 26, 2017 — A beautiful fall day in Saskatchewan! September 19, 2018 — Remember to slow down in school zones! September 9, 2017 — Check out the action packed weekend in Saskatoon! August 29, 2017 — Wishing students, teachers, professors & support staff a fantastic school year! August 22, 2017 — Check out our coming events! August 16, 2017 — Enjoy FolkFest this weekend! August 9, 2017 — Enjoy the many events happening around the city! August 2, 2017 — SASKATOON EXHIBITION NEXT WEEK! July 14, 2017 — FREE ENTRY TO SASKATCHEWAN PARKS JULY 15TH! July 11, 2017 — Another busy weekend in Saskatoon Willowgrove! July 5, 2017 — Free Fishing Weekend! June 26, 2017 — HAPPY 150TH BIRTHDAY CANADA! June 21, 2017 — SUMMER HAS ARRIVED! June 13, 2017 — Happy Father's Day Weekend! 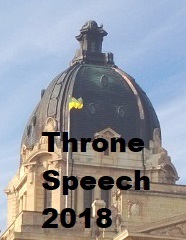 May 31, 2017 — A Historic Day In Saskatchewan! May 23, 2017 — Keeping Saskatchewan Strong! May 16, 2017 — Wishing you an enjoyable Victoria Day Long Weekend! May 9, 2017 — Happy Mother's Day Weekend! May 2, 2017 — Remember the City Wide Food Drive Saturday! April 10, 2017 — Wishing everyone a Happy Easter! April 4, 2017 — Camping Reservations Open Today! March 14, 2017 — Spring is around the corner! March 8, 2017 — International Women's Day! March 2, 2017 — Let Spring Begin! January 18, 2017 — A beautiful day in Saskatchewan! January 12, 2017 — Stay Warm! January 5, 2017 — GO TEAM CANADA!